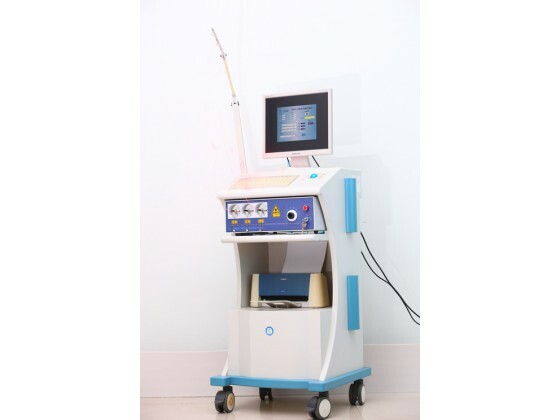 Photodynamic therapy (PDT) is a modern tumor minimally invasive or non invasive treatment the latest progress in the field, and in 1996 was approved by FDA for clinical application, but also for a variety of tumor therapy has achieved great success in the United States, Japan, Britain, France, Germany, Canada, etc.. In May 2003, China's SFDA approved the treatment system into clinical applications. 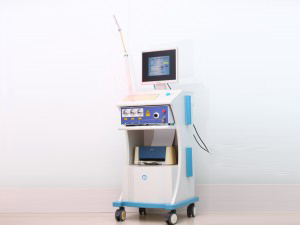 The main principle of PDT is that the tumor cells take the photosensitizer and produce the mono oxygen under the action of the laser to make the tumor cells degenerate and necrotic. The therapy is effective for many tumors, such as surface tumor, digestive tract tumor, liver cancer, lung cancer and bladder cancer. Many early tumors can be cured. Many advanced tumors can also be effectively controlled without affecting the cosmetic, organ integrity and function of the body. 1. adopt the reasonable advice of the clinician, provide multiple laser output, shorten the time of treatment, reduce the pain of the patient, and be practical and convenient. The whole Chinese man-machine interface under the 2.Windows operating system is more intuitive and concise. 4. full automatic computer software control scheme, the performance is stable and accurate. 5. with the database of medical records, it is convenient to record, store and inquire the medical records. 6. two kinds of output excuses are optional, and are suitable for many kinds of optical fiber. 4. laser output mode: single or multiple output, the output of each road can control its working mode respectively.